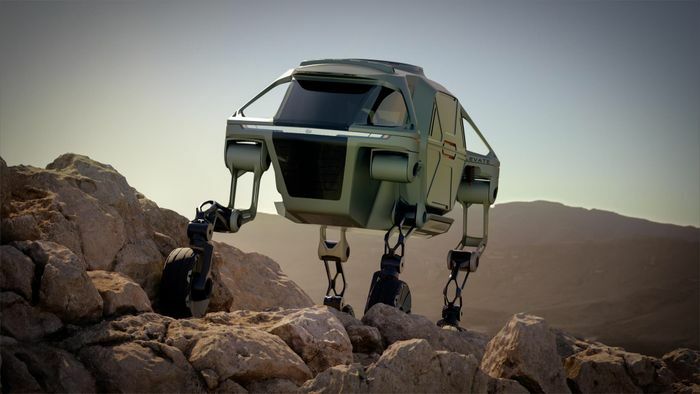 Following a teaser posted last week, Hyundai has fully revealed its unusual Elevate concept at the Consumer Electronics Show. Well, almost - what the firm has done is release a snazzy CGI-fest of a video, and showcased a couple of scale models of the vehicle. The on-stand version is in a rather fetching, military-like olive green, but there’s also a functioning model of the Elevate’s drivetrain. It has four legs, each of which has a wheel at the end, powered by an in-wheel motor. When tucked in, Elevate happily trundle along on its wheels like any other conventional vehicle, but when the going gets rough, the legs fold out, allowing it to ‘walk’. It can even climb over obstacles and is able to bridge gaps up to a metre and a half. The legs have five degrees of freedom and can lock in any position. However tough the terrain underneath, the passenger cell remains level. That compartment can be switched out, too, depending on what the Elevate is being used for. But what exactly is it for? Hyundai seems particularly keen to point out how useful it’d be as a first response vehicle for the aftermath of natural disasters. 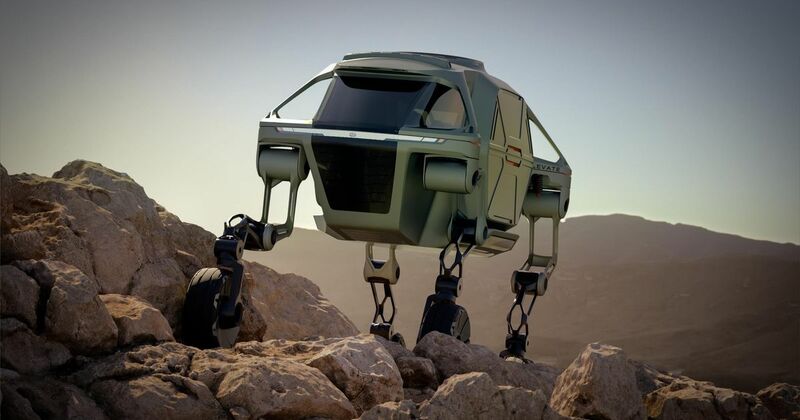 “The need for efficient, rapid, resilient transportation for disaster assistance is what led Hyundai to develop the first-ever vehicle with moveable legs,” the company says.